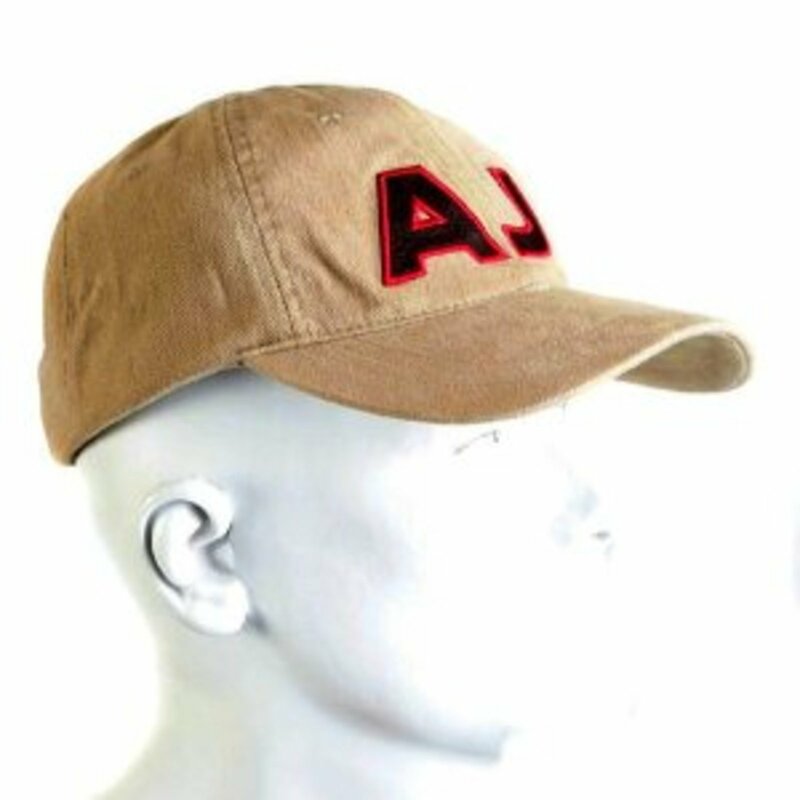 Armani Jeans beige cotton twill baseball cap Applique AJ logo embroidered Armani Jeans Woven signature logo tab on side Velcroe adjustable back with woven eagle logo tape 100% cotton. SKU-AJM0481. The Armani name has become synonymous with high-fashion and couture worldwide and is considered one of the most prestigious names in the fashion industry. 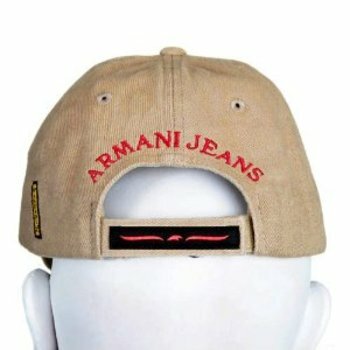 Armani Jeans is a bridge-line collection of denim-related clothing created in 1981 by Giorgio Armani. The original Designer Jeans brand with the distinctive metal Armani Jeans Eagle on the rear pocket.